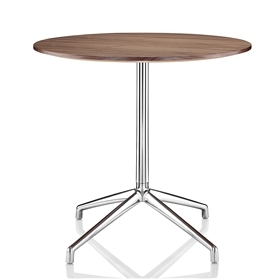 Following on from the success of the Kruze collection designed by David Fox, Boss has now extended the family to include a range of complementary coffee and meeting room tables. Chrome base. Top finished in stunning American Black Walnut with solid-lipped edge.